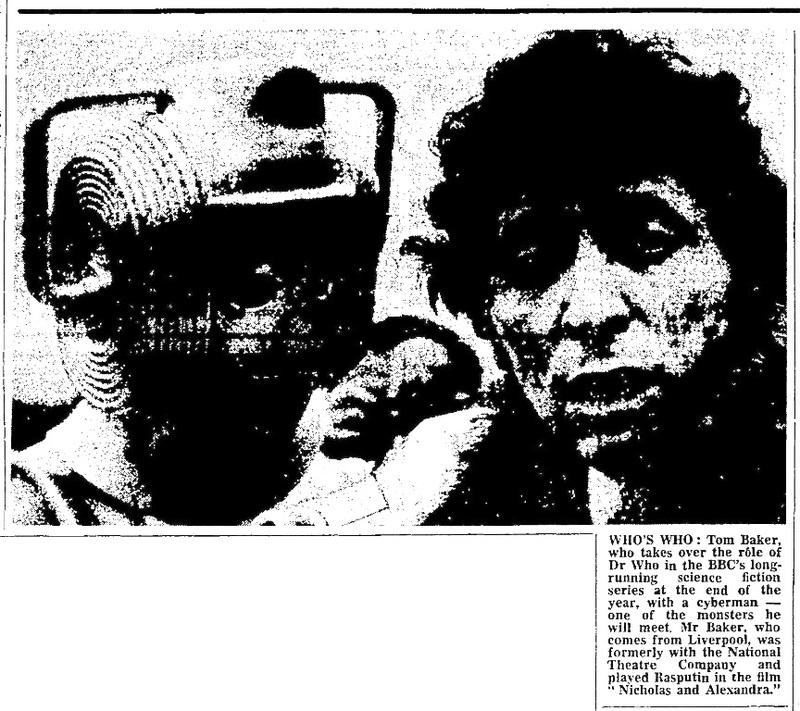 Tom Baker, who takes over the rôle of Dr Who in the BBC's long-running science fiction series at the end of the year, with a cyberman —- one of the monsters he will meet. Mr Baker, who us comes from Liverpool, was formerly with the National Theatre Company and played Rasputin in the film "Nicholas and Alexandra." APA 6th ed. : (1974-02-16). Who's Who (The Guardian, 1974). The Guardian p. 8. MLA 7th ed. : "Who's Who (The Guardian, 1974)." The Guardian [add city] 1974-02-16, 8. Print. Turabian: "Who's Who (The Guardian, 1974)." The Guardian, 1974-02-16, section, 8 edition. This page was last modified on 18 November 2014, at 23:28.